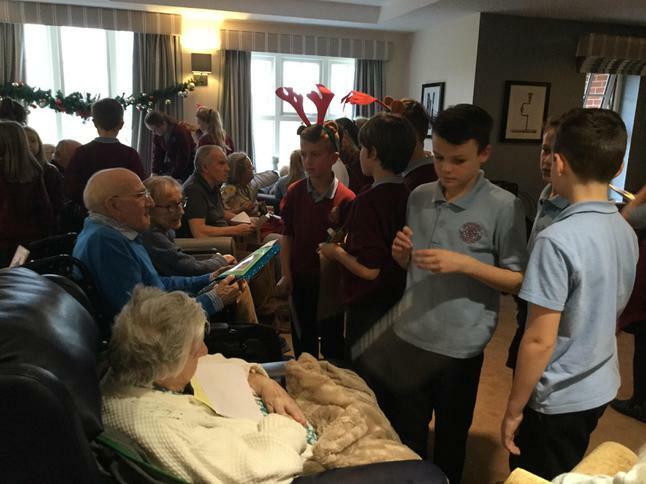 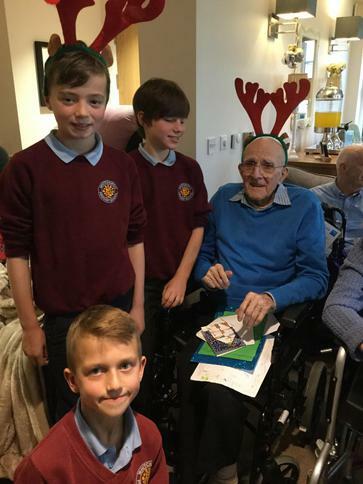 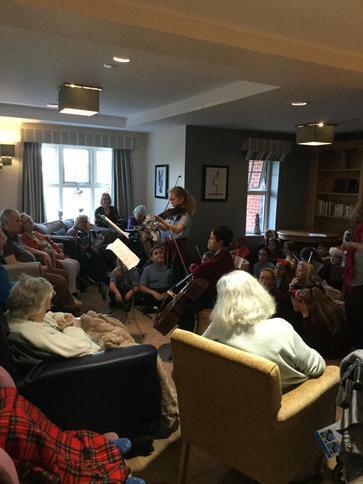 In September 2015, a group of pupils and Mr Newcombe set up an intergenerational project between Whitchurch Primary School and BUPA Heol Don Residential Home, Whitchurch. 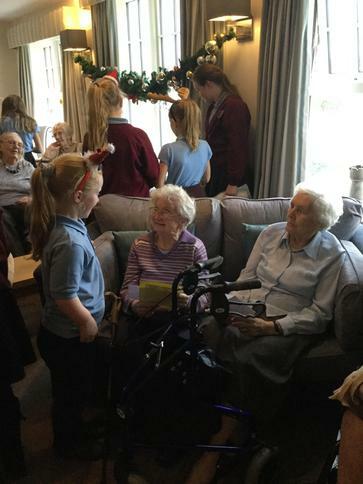 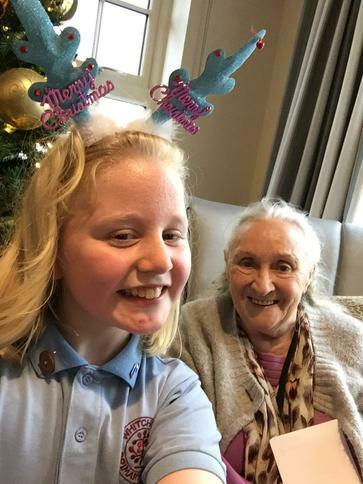 With support from Mrs Land and Mrs Edwards, pupils visit the home and residents visit our school on a regular basis throughout the year. 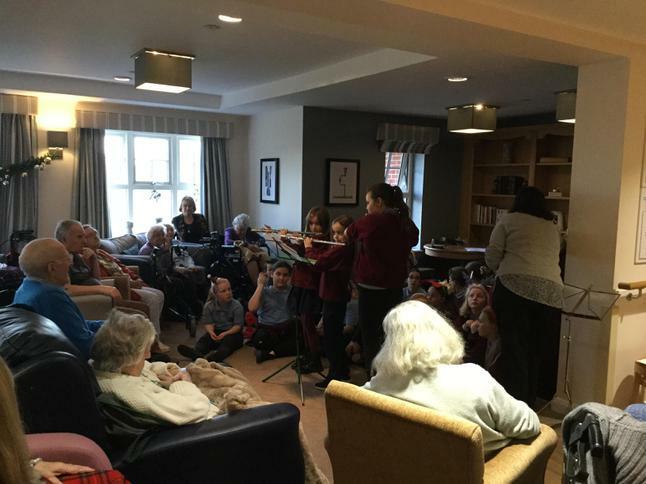 The purpose of this project is to develop community links between young people and senior citizens. 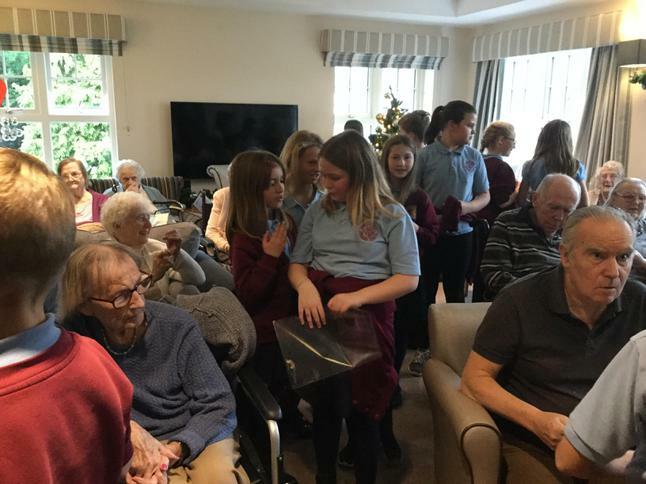 We prepare a termly programme and pupils share their knowledge of digital technology and their hobbies and the residents of Heol Don share their interests and stories from the past. 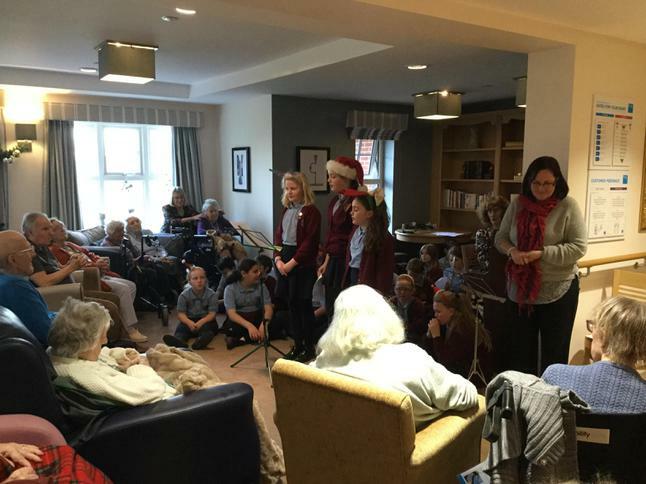 This project allows pupils and residents to share their skills and talents and to develop a mutual respect for one and other. 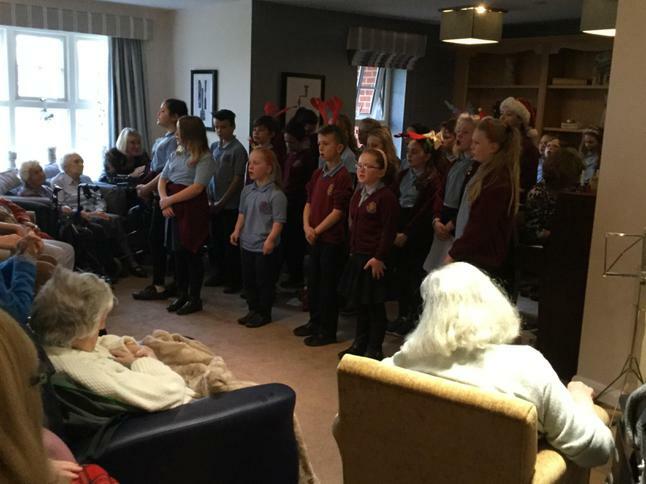 Cartref Gofal Heol Don Care Home, Whitchurch, Cardiff. 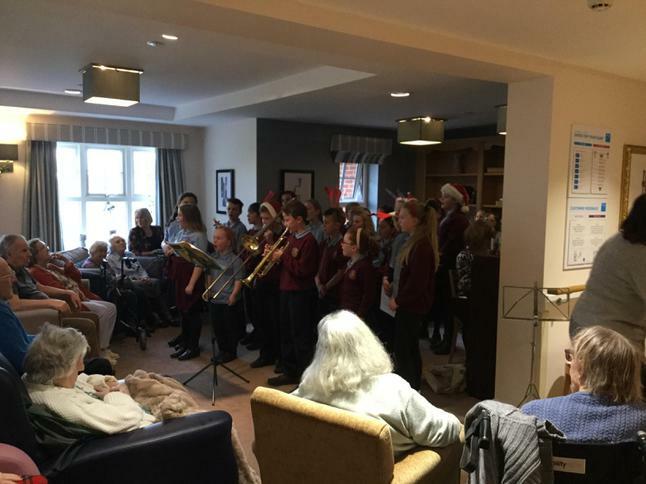 Some of our musicians made a Christmas visit to Heol Don. 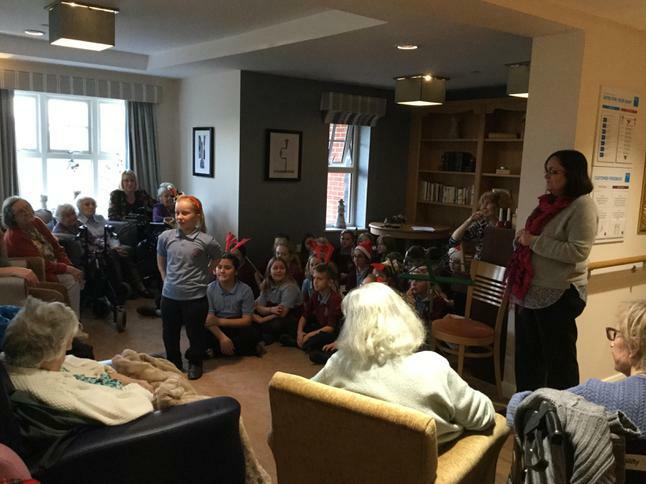 Click below to find out more about our intergenerational project.